Sled Dog Tours - Alpine Helicopter Inc. Pick up your wings and soar to new heights with our local Canmore partner, Snowy Owl Sled Dog Tours. As you soar through our vast, snow covered majestic mountains, you will discover the history of our precious Sundance Range! Arriving on the frozen shore of the stunning Spray Lakes, it’s hard to imagine anything more alluring than the white snow of the Rockies in the winter time. Your Snowy Owl instructors are awaiting your arrival to take you on your dog sledding adventure. It’s your dream, your destiny! Our helicopter service is available to fly you to or from the dog sledding site. Flight duration is approximately 25 minutes and departs prior to or following your dog sledding adventure. 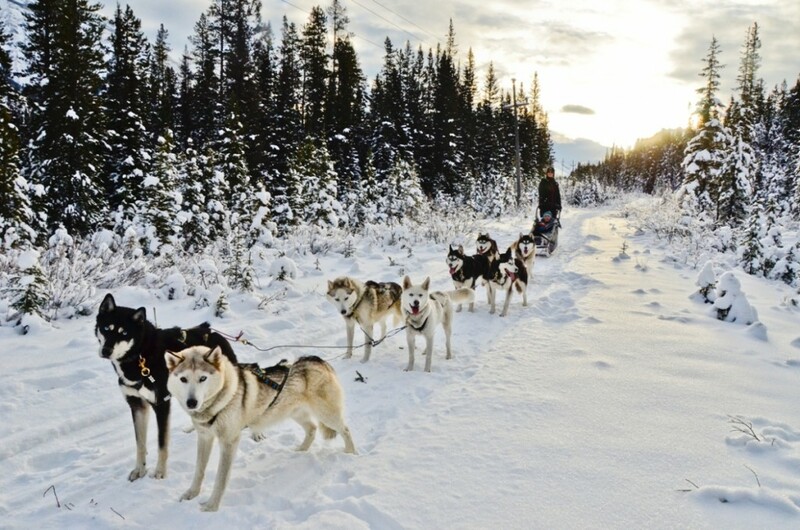 Book directly with Snowy Owl Sled Dog Tours at the above link or call 1-888-311-6874. The local number in Canmore is 403-678-4369.